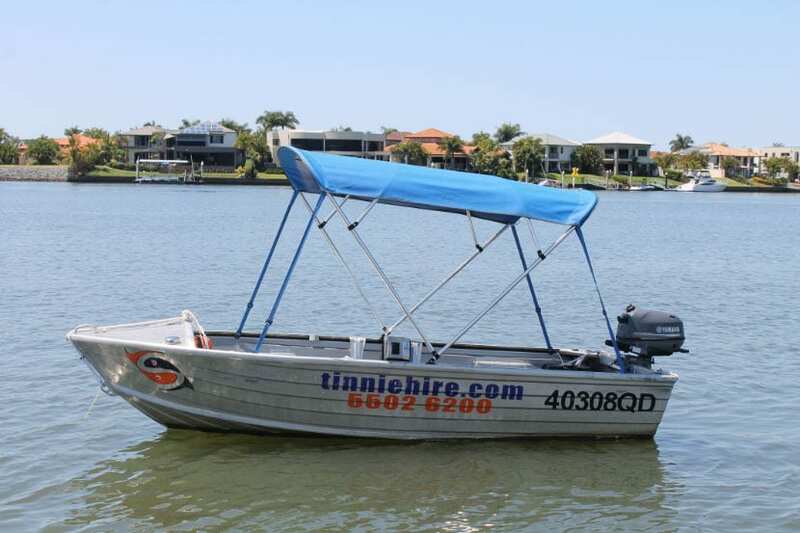 Coomera House Boats > Blog & Latest News > Uncategorized > HIRE TINNIES NOW AVAILABLE. HIRE FOR A DAY OR LONGER WITH YOUR HOUSEBOAT HOLIDAY. Tow one of our new faster more comfortable tinnies behind your houseboat . 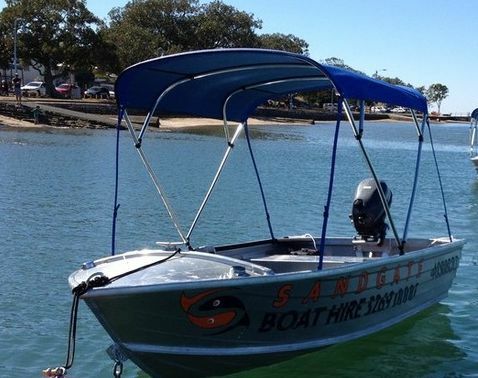 Our hire tinnies are 3.8 metre Quintrex aluminium tinnies with seating for four, have collapsible canopies to help stay out of that hot QLD sun, carpeted deck, anchor & all safety gear. These hire tinnies make getting around the cruising area quicker and easier and can really enhance your fishing & crabbing experience. Our new hire tinnies will be available for hire from mid April 2016. Price & details of our 6HP ‘No License’ click here. 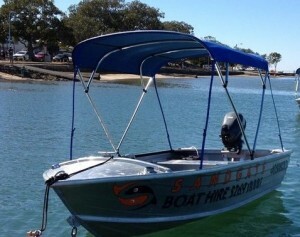 Price & details of our 15HP ‘License needed’ click here.